Take a right at the Bulu Blind Centre sign board, just beside Bocom Petrol Station. This unpaved road is very rocky and difficult for small cars. Continue straight on this road past the Bulu Blind Centre and over two bridges. You should not turn at any point. 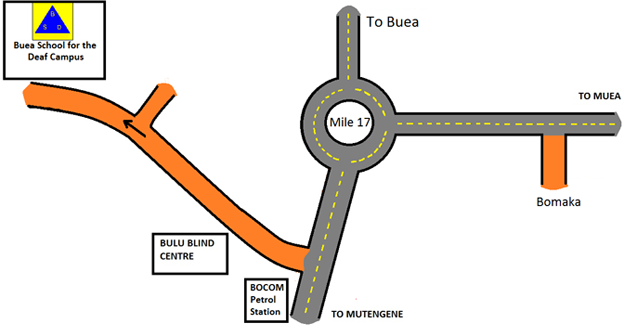 After about 3 km (1.9 mi) you should arrive at Buea School for the Deaf on your right.